Theuang Kavanh, 92, of Mt. Pleasant, IA, passed away Thursday, April 11, 2019, at his home surrounded by his family. Visitation will be held Monday, April 15, 2019, beginning at 12:00 noon at Olson-Powell Memorial Chapel where the family will receive friends from 4:30 – 6:30 p.m. Funeral services will be held Tuesday, April 16th at 2:00 p.m. at the First Baptist Church with Rev. Steve English officiating. Inurnment will be in Pleasant Hill Cemetery. On line condolences may be directed to www.olsonpowell.com . Memorials may be directed to the family for a charity to be named at a later date. Born March 10, 1927, in Ban Muoi, Son La, Vietnam, Theuang Kavanh was the son of Eian and Oume Kavanh. He completed twelve years of school in Vietnam. On June 5, 1951, he married Seuang Cavan in Ban Muoi, Son La. Theuang served with the French Army. He was a painter at the French Embassy in Laos, a profession he continued after moving his family to the United States in October of 1979. Theuang lived in Keosauqua, IA, for 15 years, where he was a custodian at the Van Buren High School retiring in 1994. While in Keosauqua he was a member of the United Methodist Church and after moving to Mt Pleasant he attended First Baptist Church. 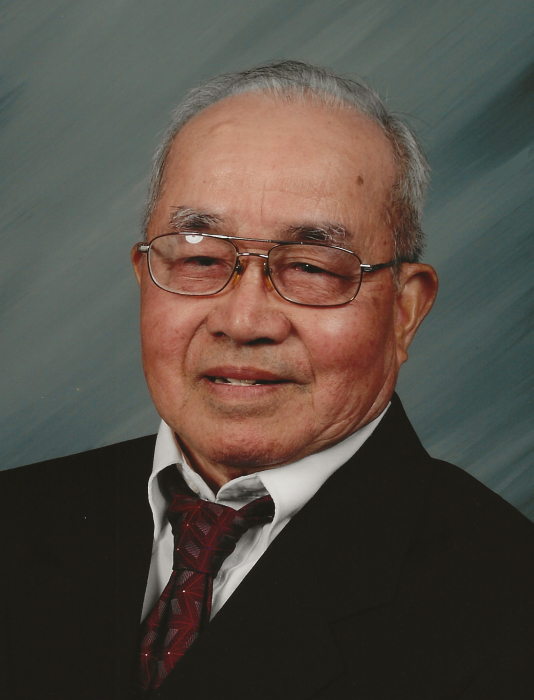 His time was spent fishing, gardening, mushroom hunting, watching WWE Wrestling, journaling every day, singing traditional folklore, and most of all, Theuang loved spending time with family, especially his grandchildren. Theuang was often called upon as a celebrant, giving prayers and blessings at traditional ceremonies throughout the area. Surviving Theuang are his wife, Seuang of Mt. Pleasant; six daughters, Phuong (Savalith) Muongsouvanh of Quebec, Canada, Phong (Phong) Lo of Sheldon, IA, Somboua (Oun) Lovan of Sheldon, IA, Khamphou (Heriberto) Medina of Mt. Pleasant, IA, Chom (Kurt) Naae of Des Moines, IA, and Nhoth (Dave) Myers of Mt. Pleasant, IA; one son, Bounloth Kavanh of Mt. Pleasant; 19 grandchildren; and 7 great-grandchildren. Theuang was preceded in death by his parents; one son, Thau Kavanh; two daughters, Pheuy Baccam and Huc Be; an infant grandson; and 7 siblings.